Located on the East Coast of the Mediterranean basin, south of Lebanon and north of Egypt, the state of Israel is a young, democratic country that has a small, open economy. In 2011, it had a population of around 7.5 million and an estimated GDP per capita PPP of about $30,000. During the last decades, Israel has emerged as an important global center of innovation and growth (Saxenian, 2007; Senor and Singer, 2009). 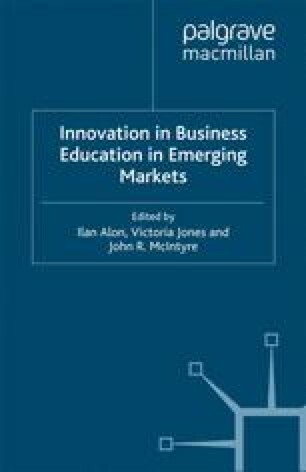 Its prosperity and economic success seem to be related, in part, to its ability to encourage entrepreneurship at the individual, business and national levels (Almor, 2000; Avnimelech and Teubal, 2004 a; Avnimelech and Schwartz, 2009; Dashti, Schwartz and Pines, 2008; Pelzman and Shoham, 2006; Schwartz and Bar-El, 2007; Sperling, 2005). Israel’s entrepreneurial success, found in different knowledge-intensive and venture capital (VC) industries, seems to be related to the coun- try’s investment in higher education and the Jewish culture, which has always encouraged learning. Breznitz, D. (2002). The Military as a Public Space: The Role of the IDF in Israeli Software Innovation System. MIT Working Paper. Number IPC-02-004. http://web.mit.edu/ipc/publications/pdf/02-004.pdf, accessed on October 2, 2011. Council for Higher Education (CHE; 2011). “Website of the Israel Council for Higher Education”. http://www.che.org.il/english.aspx, accessed on October 2, 2011. OECD (2011), Education at Glance 2011: OECD Indicators. OECD Publishing. http://dx.doi.org/10.1787/eag-2011-en, accessed on October 2, 2011. Open University (2011). “Comparing Israeli Business Schools: An International Assessment Committee Praises the M.B.A. Program at OUI”. Open University of Israel, http://www-e.openu.ac.il/geninfor/openletter/ol 19/download/page-2-3.pdf, accessed on October 2, 2011. Tel Aviv University (2011). “Tel Aviv University’s Faculty of Management—The Leon Recanati Graduate School of Business Administration”. http://recanati.tau.ac.il/Eng/, accessed on October 2, 2011. Zimmerman, E., Bar-Han, J. and Glanzel, J. (2008). Europe and Israel EducatingEach Other. Israel Council of Higher Education, http://www.che.org.il/download/ files/educating_each_other2.pdf, accessed on October 2, 2011.